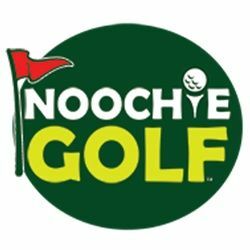 Noochie Golf LLC was invented by brothers Dom and Tre after a trip to the miniature golf course with their parents. They fell in love with the game, and were determined to find a way to play ‘at home.’ Their original invention was made up of plastic bottles, boxes and anything else they could find. According to their mom, as soon as one ‘course’ was picked up another was in production! Fun for the entire family, Noochie Golf is all about bringing the miniature golf experience to your doorstep without the expense of traditional synthetic putting grass.